Featuring a split-finger design for dexterity in extremely cold weather, the Black Diamond Soloist Finger glove is a must have for technical alpine climbing. 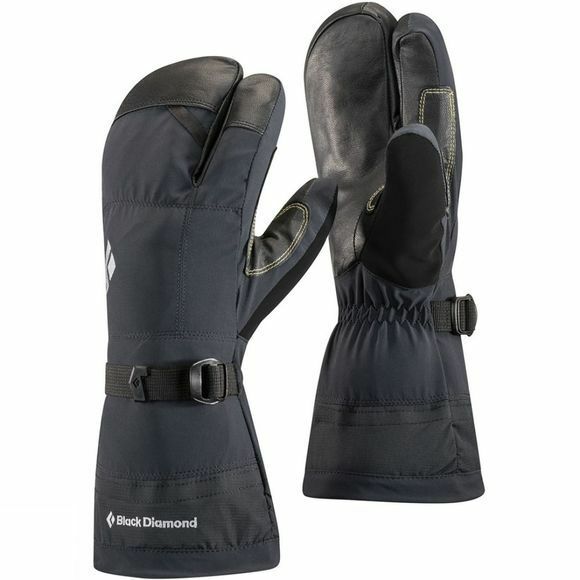 Its removable PrimaLoft®-insulated liner helps to keep those fingers moving. When it's a little on the toasty side, they can be remomved and the outer waterproof shell can be used along. Durability is not an issue, thanks to the Kevlar®-reinforced goat leather palm that withstands heavy use on rocky terrain.